Olivier Magny is a native Parisian, best-selling author, wine educator and host of SBS TV series The Grape Escape. He has taught over 40,000 people around the world about French wine and how to appreciate it, founded the number one wine tasting school at his gorgeous Paris bar, Ô Chateau, and is visiting sommelier at the Hôtel de Crillon. 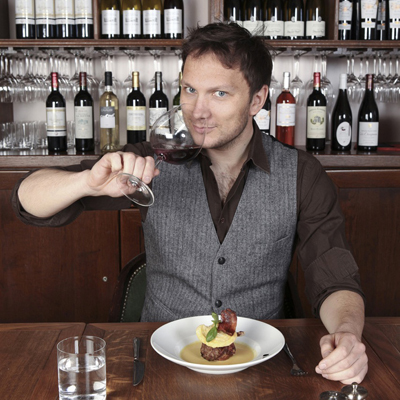 Dubbed “the Jamie Oliver of French wine” in the British press, he travels the world conducting wine tastings and professional courses, and filming fabulous locations for his wine television programs. His new book is about the philosophy of terroir and how it can change the way you live your life.